Love running as much as you love Disney? 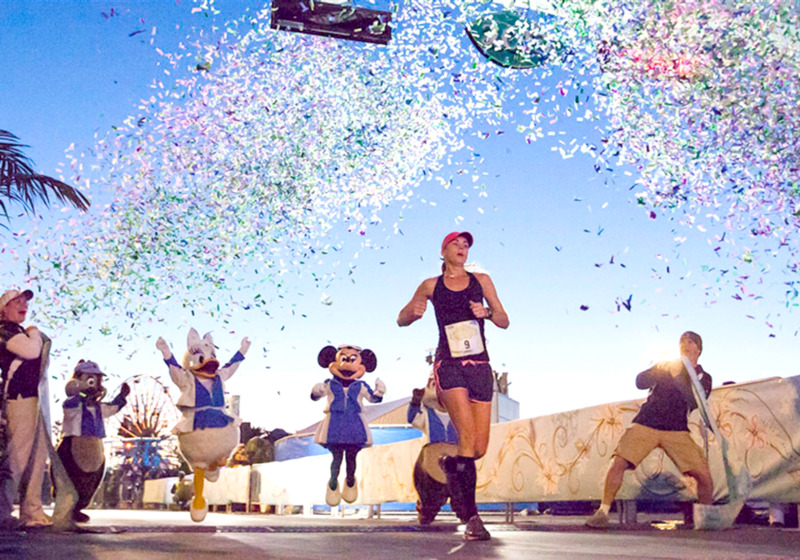 You can combine your two passions at multiple events throughout the year with an assortment of runDisney events ranging from 5K runs to full marathons. The events are typically clustered during themed long weekends where you can participate in one or more runs over three days. Most runDisney events take place at Walt Disney World in Florida, but there are events at other Disney locations as well. Throughout the year, there are runDisney weekends that are geared to themes such as Disney Princess or Star Wars, or to special events. Note: Due to ongoing construction projects at Disneyland Resort in California, runDisney events at Disneyland have been put on temporary hiatus beginning in 2018. We will update this page as events are re-introduced. Signups typically open up about nine months before the event. Just go to runDisney.com, find your desired themed weekend and specific race, and register online. Plan on making it a three- or four-day visit. Most popular themed runDisney events take place over a three-day weekend, with races and events held on consecutive mornings, Friday through Sunday. Register early. Many runDisney events sell out more than six months in advance. On popular half-marathon weekends, the shorter runs tend to sell out first, so if you like 5K and 10K races, consider registering well in advance. Prepare to be an early riser. RunDisney events are typically held outside of theme park opening hours. Races 5K and longer tend to kick off at 5:30 am while the shorter kids races take place mid-morning through early afternoon. Sign your kids up for the right race. Participants for the two-day challenge must be age 18 or older. Participants for the half marathon must be age 14 or older. Participants for the 10K must be age 10 or older. Participants for the 5K must be age 5 or older and be able to complete the 5K on his or her own. Participants for runDisney kids races must be age 13 or under. While runDisney events are packed with fun, they also attract serious runners. To prevent bottlenecks on the course, runners are expected to keep to a minimum pace. 16-minute-per-mile pace for all participants in Half Marathon, 10K and 5K runs. A training pace of 15-minute-per-mile pace is recommended. Runners unable to maintain the pace may be picked up along the course and transported to the finish line. Join an army of Disney Princesses for this annual weekend that is chock full of runs, Disney surprises, plenty of entertainment, exclusive medals and much more. Princesses of every age are invited to participate or cheer on the runners. ​Spend this galactic weekend on the dark side of the Force with fun courses packed with plenty of Star Wars excitement, Disney entertainment, exclusive medals, and lots of surprises. Oo la la! You can be a part of the Disneyland Paris Magic Run Weekend for many fun runs for the whole family through the heart of Disneyland Paris. As always, the weekend holds plenty of special events and entertainment, as long as special medals and more. Love to run but also love to eat? Timed to coincide with the tail end of the Epcot International Food & Wine Festival, this weekend blends plenty of delicious foodie events with the chance to burn off calories in multiple runs for all ages. Expect plenty of special events and entertainment, special commemorative medals, and more. The runDisney calendar kicks off every year with Disney World's premier running event, featuring the most races and jam-packed schedule of all. Castaway Cay Challenge combines one 5K event or longer during the Walt Disney World Marathon Weekend with a 5K on Disney Cruise Line's private tropical island in the Bahamas the following week. A reservation on the appropriate sailing of the Disney Dream 4-Night Bahamian Cruise is required in order to participate. Sailing with Disney Cruise Line? On Bahamian itineraries that feature a stop at Castaway Cay, Disney's private island, you can sign up for a 5K run that follows a route that traverses the picturesque isle. You can register on the ship at guest services.